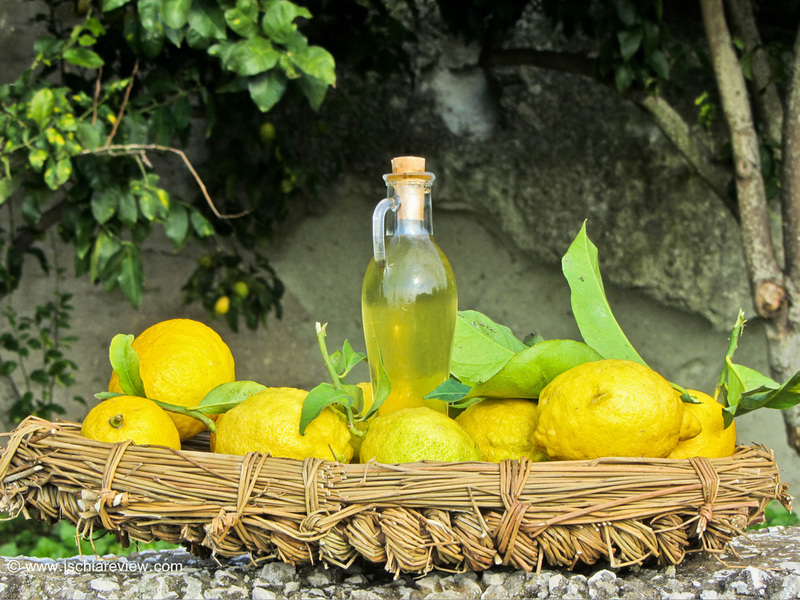 Ischia is famous for its lemons and of course for its Limoncello. The island has an abundance of lemon trees and the fruit is used in many Ischian recipes. Limoncello is one of the best ways to use those lemons so we've prepared a recipe for you so that you can make it at home either before or after your holiday here. Limoncello is made using the lemon peel rather than the fruit itself. The first task is to peel all 8 lemons, very thinly, also avoiding the white part of the skin. Then put the lemon peel into a glass container (with a lid) of 1 litre of alcohol. You must then seal the container tightly and leave it at room temperature, in a dark place, for two weeks so that it can blend. After 2 weeks, boil the litre of water with half a kilo of sugar for 10 minutes. Leave the water to cool for 5-10 minutes. Then mix together and stir the alcholol and peel mixture with the sugared water. Wait a further 5 minutes and then, using a tea-strainer (or similar filter), pour the mixture into a bottle (or bottles depending on their size). Then simply place the bottle(s) in the freezer until ice cold and serve your Limoncello with frozen glasses.